Hi, I was issued a cheque by a person who was supposed to pay me and it was dated 15th Jun. When I deposited it, it was returned due to insufficient funds. When I reached out to the issuer, she said that is arranging funds so to deposite the cheque again after 10 days. When I did so again the cheque is returned with reason of insufficient funds. Now the cheque amount is Rs 4000 and 2 times cheque bounce has cost me Rs 236. My question is, I want to now send her a legal notice so is there a specific format that is readily available or do i need to go through a lawyer like yourself? Also another concern would be if the lawyer fees is higher than the cheque value then it does not make sense for me to go legal at all? Sir, the first process is required to be issued demand notice to the drawer. That can be done by yourself or through a lawyer. It is a legal aspects, you may not know the ingredients of the notice. Therefore, you better to take legal assistance from the lawyer. 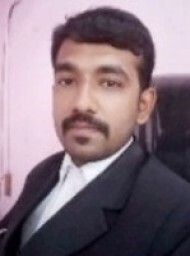 The lawyers are professinalist, usually they charge Rs.500/- to Rs.1000/- for legal notice. Free service for you the people, does not make any sense. The charitable work only for the poor people. Many lawyers have been doing charitable work for the sake of society as concern about poverty.